Nearly two dozen states are suing the Trump administration over recent changes in Title X funding eligibility. The changes would prevent recipients of the federal government’s funding program from facilitating or performing abortions. Oregon is among the states filing a lawsuit over the Department of Health and Human Services’ (HHS) “Protect Life Rule.” The finalized version of the rule was announced by HHS on February 22. It’s estimated that Planned Parenthood would lose roughly $60 million in federal funds on account of the rule change. Originally implemented in 1965, Title X is a federal program that subsidizes family-planning services, including contraception, and other assorted health screenings for individuals with low incomes. The “Protect Life Rule” would require both a physical and financial separation between recipients of Title X funding, and facilities that perform abortions. Clinics providing “nondirective counseling” about abortion, however, may still receive funds. This is a sharp departure from the regulations written during Bill Clinton’s presidency, which permitted health clinics co-located with abortion clinics to receive funds, and also required that Title X funding recipients refer patients for abortions. Though pro-life groups have praised the measure, saying it is a positive step towards recognizing that abortion is not health care, a number of abortion advocates are claiming it is an attack on women. "The Title X rule is designed to destroy our nation’s family planning provider network and deprive millions of poor and low-income people of access to the contraception and other preventive health care they need,” said Clare Coleman, president & CEO of the National Family Planning & Reproductive Health Association. On March 4, Oregon announced that it will be leading a multi-state lawsuit against the new regulations. Oregon’s attorney general is joined by attorneys general in 20 additional states: Colorado, Connecticut, Delaware, Hawaii, Illinois, Maryland, Massachusetts, Michigan, Minnesota, Nevada, New Jersey, New Mexico, New York, North Carolina, Pennsylvania, Rhode Island, Vermont, Virginia and Wisconsin, along with the District of Columbia. Two additional states are preparing their own lawsuits. California is home to the nation’s largest Title X program, and also filed a lawsuit on March 4. The suit claims the new requirements unfairly force healthcare providers to forego Title X funding if they offer full and accurate information, and unbiased counseling, about abortion. Washington state is now also preparing to sue the administration. “Washington has been, and will continue to be, a state that stands with women and their right to safe and legal abortion and reproductive care. We will never allow President Trump or anyone else in D.C. to take those rights away,” said Governor Jay Inslee in a February 25 statement. The latest changes in Title X funding reflect President Trump’s campaign promise to defund Planned Parenthood, which remains eligible for other federal funding. 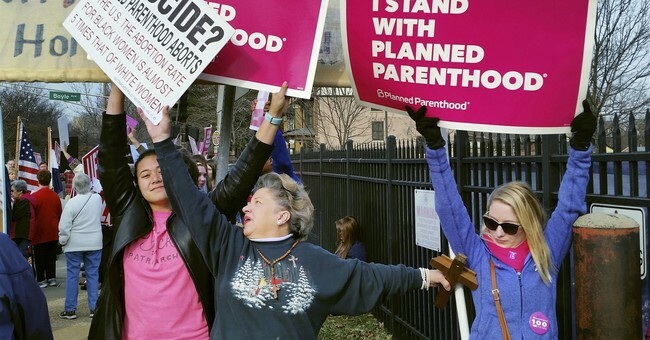 Last year, Planned Parenthood received over $500 million in federal funds.